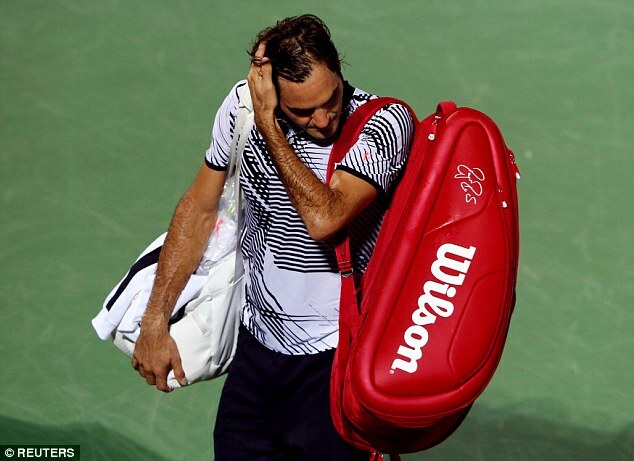 Roger Federer squandered three match points in a shock 3-6, 7-6 (9-7), 7-6 (7-5) second round loss to Russian qualifier Evgeny Donskoy at the Dubai Tennis Championships on Wednesday. Federer netted a forehand on Donskoy’s one set point in that second set tiebreaker to extend the match to a third set. The 116th-ranked Donskoy’s dream of a quarterfinal berth seemed over when he forfeited his serve in the sixth game of the third set. But Federer wasn’t able to close out the match when serving for it at 5-3 in the third, and then watched the Russian work his way to victory. Federer, who skipped last year’s tournament because of arthroscopic knee surgery, was in the hunt for an eighth Dubai title. The initial excitement in the match occurred with Federer leading 6-3, 3-4 – when one set of the court floodlights went dark. Fans in the crowd turned on their cellphone flashlights and start waving them in the air as if they were at a rock concert. 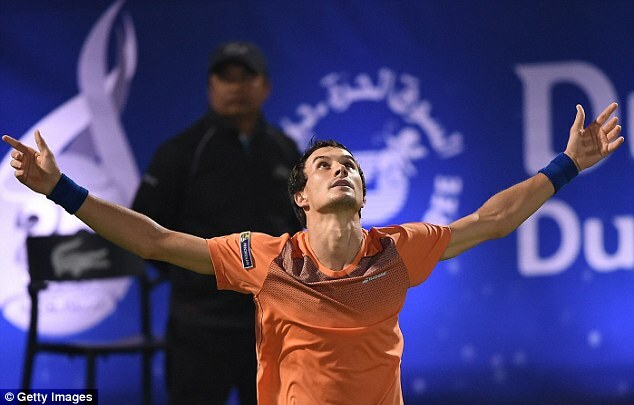 Donskoy will play seventh-seeded Lucas Pouille in the quarter-finals. Pouille defeated qualifier Marius Copil 6-1, 6-4.